Institute for Christian Renewal – Page 2 – An interdenominational ministry of teaching and healing. Just in time for Easter … we are pleased to announce the publication of Canon Mark’s book FIFTY DAYS OF GLORY. It’s about that special season in the Church Year between Easter and Pentecost. Many people think “Easter” is just Easter morning, but the resurrected Jesus walked this earth for forty days before ascending back to heaven. Then there was that ten day waiting period for the disciples before the Holy Spirit fell on Pentecost. The trouble is, there’s not much in print to explain the various biblical events during this period and help us apply them to our lives. Until now. You can order FIFTY DAYS OF GLORY right now and we can ship it to you immediately. COST OF THE BOOK = $16.99. Add postage/handling ($3.75 for 1 or 2 books OR 8% of the cost of the books for 3 or more books). 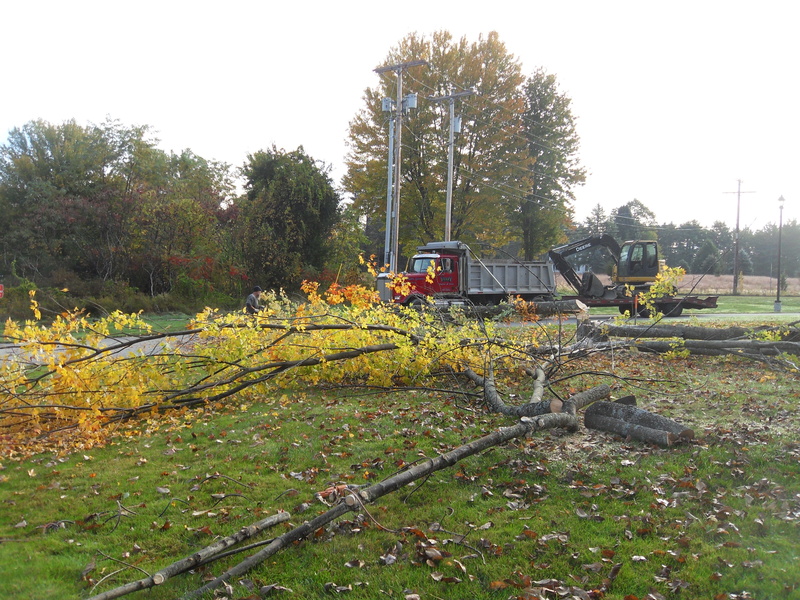 **Checks to Institute for Christian Renewal, 80 Route 125, Kingston, NH 03848. 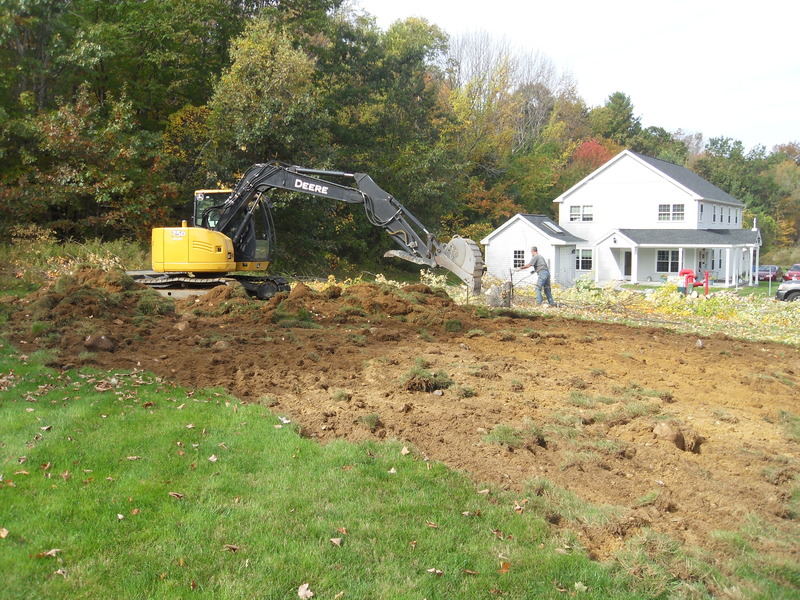 **By credit card call us at 603 642 3002 mornings (Eastern Daylight Time) Tuesday to Friday. 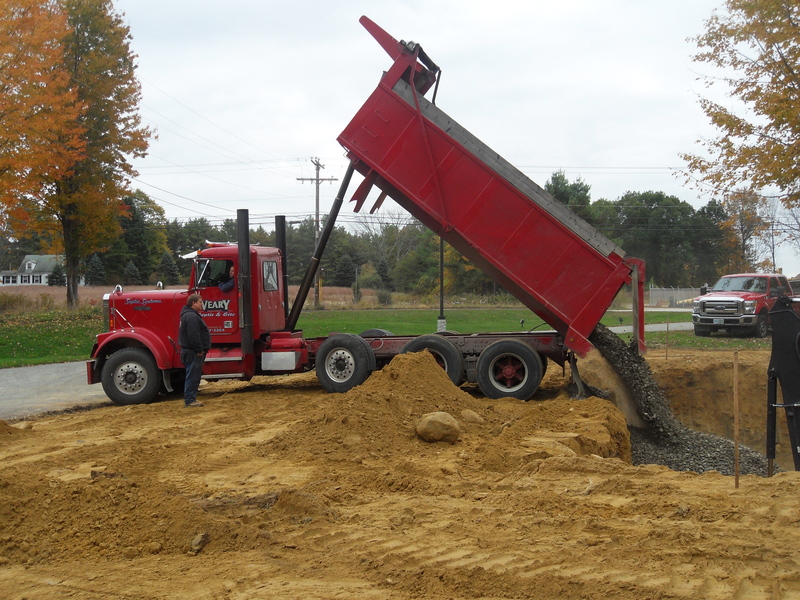 On October 9 ground was broken for our next building. We are building it in stages, with “stopping points” along the way. That way we can avoid bank financing and all the red tape and paper work accompanying it. Commercial loans are at a higher rate and come with much more of that red tape and paper work than home mortgage loans. We’re starting with the chapel / teaching space. It will allow worship and teaching on the ground floor and to a much larger gathering of people. For worship alone the room should hold about 80 people. For worship with fellowship hour afterwards, about 50. For conferences with people seated around tables approximately 38. The first step is building the building itself. Counting money on hand with the expectation of the usual Fall fundraising drive amount raised, we ALMOST have enough for the building. 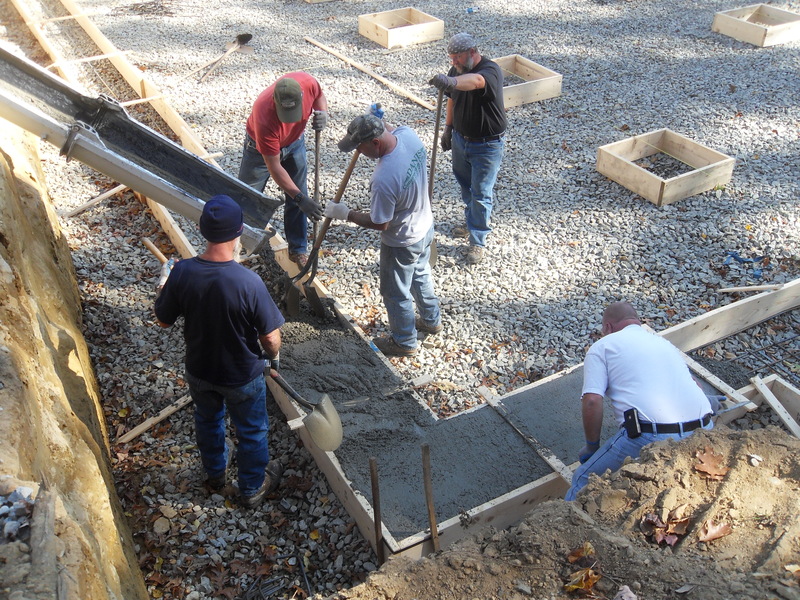 We are praying people will step up and give more generously this year so we can not only complete the building before snow flies but also finish the interior over the winter. Will you help us? Your donation may be made to Institute for Christian Renewal and mailed to 80 Route 125, Kingston, New Hampshire 03848-3535. As we are a 501 c 3 non-profit religious organization, your gift is tax-deductible. Special Service, Sunday, August 5, 10:00 a.m.
We’re dedicating a bench in the Memorial Garden given in loving memory of R. Stanley and Madeline W. Pearson — Canon Mark’s grandparents by their daughter Nancy and her husband Robert Smith. We’re doing this dedication in the context of our Sunday worship service. The service will be outside by the Memorial Garden. We hope you can come. We’ll have chairs and some umbrellas to provide shade. Lunch will be provided afterwards. We hope you’ll come and join with us. 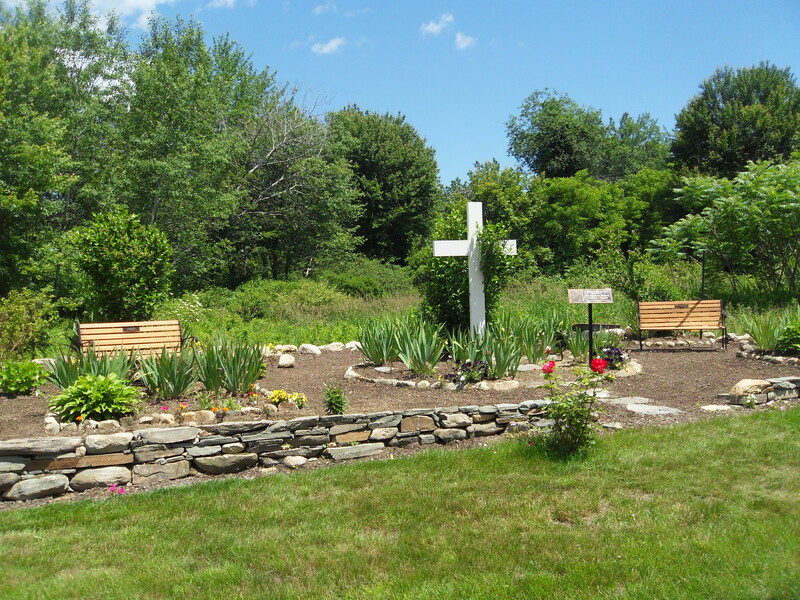 Location is the Institute for Christian Renewal / Healing Center property, 80 Route 125, Kingston, New Hampshire. Anyway, he spent that amount of time recently in England at four different places. First, he attended the annual retreat of the Fellowship of Christ the Healer. This is a gathering of leaders of major healing centers in England. The group meets to update each other as to what God is doing in their ministries and to pray in-depth for each other. Canon Mark attends about every two or three years in combination with speaking and ministry in various places in England. Each time he brings back some ideas for our healing center and is encouraged and empowered by the prayers of the others. Second, he spent two days at Harnhill Centre for Christian Healing in a little village outside Cirencester, near Gloucester, in England’s west country. Classical and church music lovers might find it interesting that Harnhill is just a few miles away from the village of Down Ampney, where composer Ralph Vaughan Williams lived for many years. Over the years the vision of Church of England priest the Rev. Canon Arthur Dodds has unfolded into a center of healing, counseling, and teaching. Canon Mark presided and preached at the Friday morning healing Eucharist attended by nearly 100 people. On Saturday he led a day-long conference on the subject of using the gifts of the Holy Spirit in ministry. In the photo are him with some of the Harnhill leadership. Years ago on one of his early ministry trips to England, Canon Mark met a solicitor (lawyer, to us) named Stephen Morley. Years later Mr. Morley felt led of God to train for ordination in the Church of England. He did a three week “placement” as a chaplain intern at New Creation Healing Center and was ordained a priest in Wells Cathedral on July 2, 2011. Canon Mark was there as a presenter and in sharing in the laying-on-of-hands of ordination. 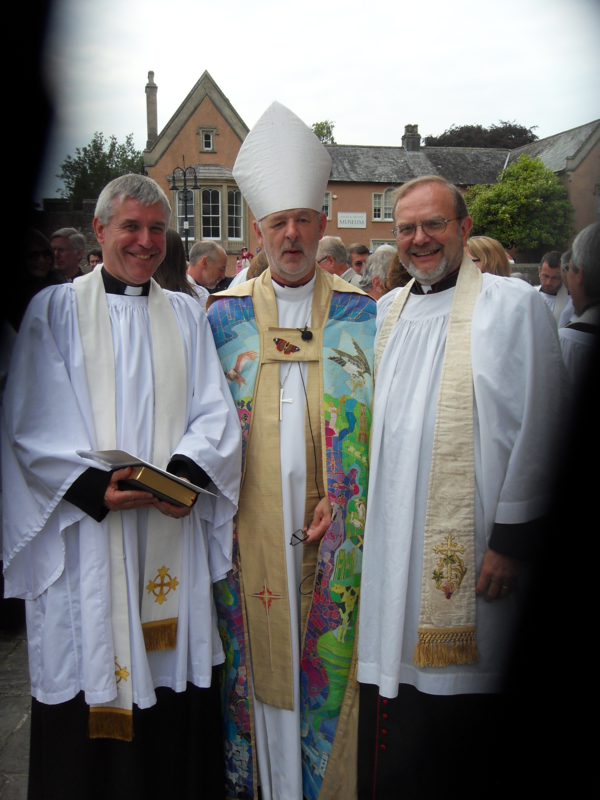 (See photo of the newly ordained priest with Canon Mark and the Bishop of Taunton who presided.) 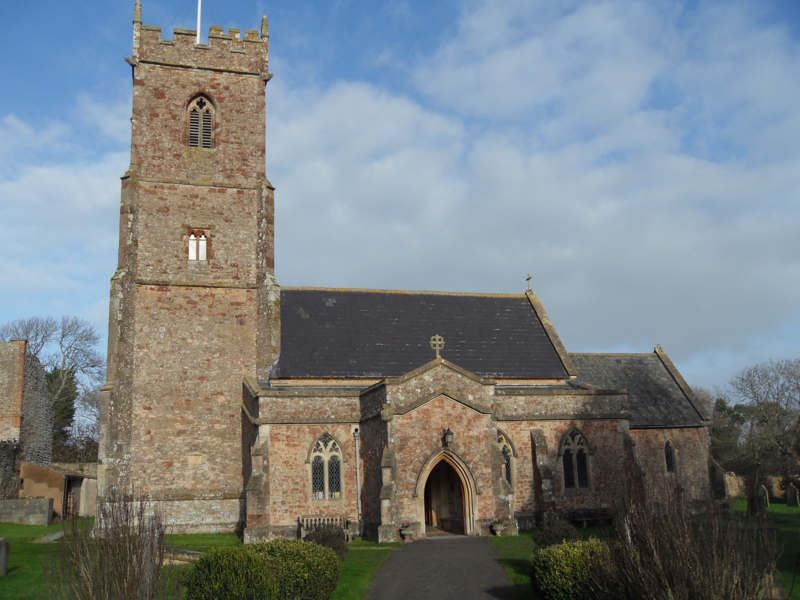 Steve joined the ministry team of a six church cluster centered around Nether Stowey as one of the priests. Fourth, Canon Mark went to the far west area of North Devonshire to teach a four day conference at Lee Abbey. (Readers of classical English literature may have read the book Lorna Doone which mentions both Lee Abbey and the area immediately around it.) Lee Abbey is a large manor house and was the site of a school evacuted from London during the Second World War. Since then it has become a very large retreat and conference center. Canon Mark led a conference on Christian Healing ministry for four days. But he was not yet done! 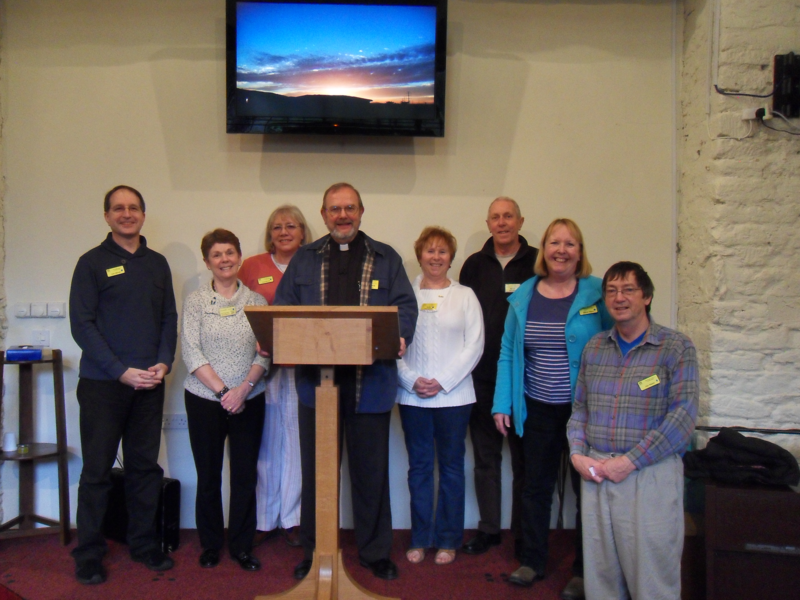 It’s not uncommon for churches in England to take a sizeable number of their parishioners off for a retreat weekend and Canon Mark was asked to lead such a weekend for the Nether Stowey cluster of churches. Then the fortnight drew to a close. On the way to the airport he wondered if the flight home would be — please Jesus! — uneventful given his recent experiences in trying to leave London. Four years back his was the last flight out of Heathrow before the airport was shut for a rare English snowstorm. The pilots of the airplane, flying for Northwest Airlines and based in Minneapolis, convinced air traffic control that, yes, they could quite handily roar down a runway with snow on it! Then, in April of 2010, the Icelandic volcanic eruption grounded him in London for a week. Canon tried to elicit sympathy from people back in the U.S. for his being stranded. However, his emails reported he was having fun with friends, taking in lots of London sites, and having fish, chips and a tankard of ale every night in a British pub. His “pity me” please fell on deaf ears. Once again, it is the financial assistance Institute for Christian Renewal newsletter readers and friends provide that makes his ministry trips possible. Thank you so much. 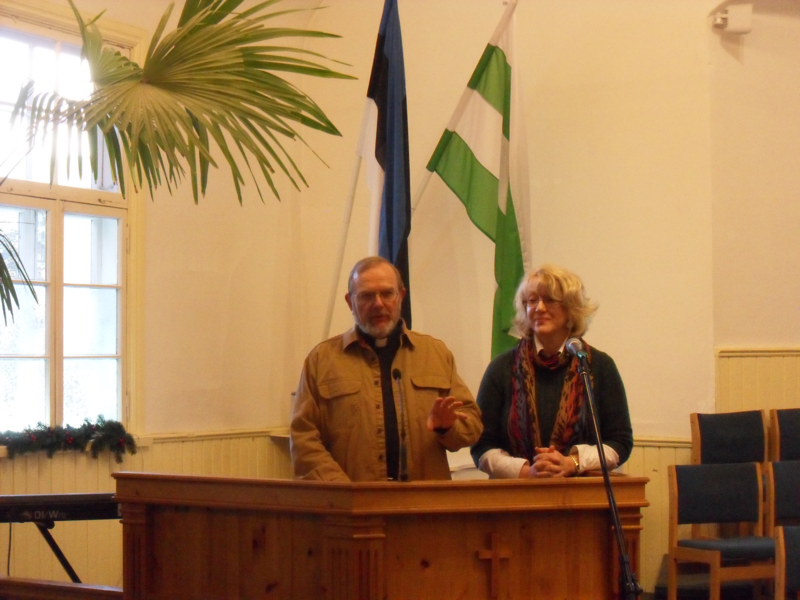 Recently Canon Mark spent a week in Estonia, a former Soviet bloc country in northeastern Europe. He taught (see photo of him with a translator), ministered in churches, and assisted church leaders. It is your generous donations to ICR that help Canon Mark’s work. Use the PAYPAL button on this website, or else write a check to Institute for Christian Renewal and mail it to 80 Route 125, Kingston, NH 03848-3535. You can have a part in this revival we all want to happen.